In 1949, Irving Penn shot, what would become, one of his most legendary black & white photographs. 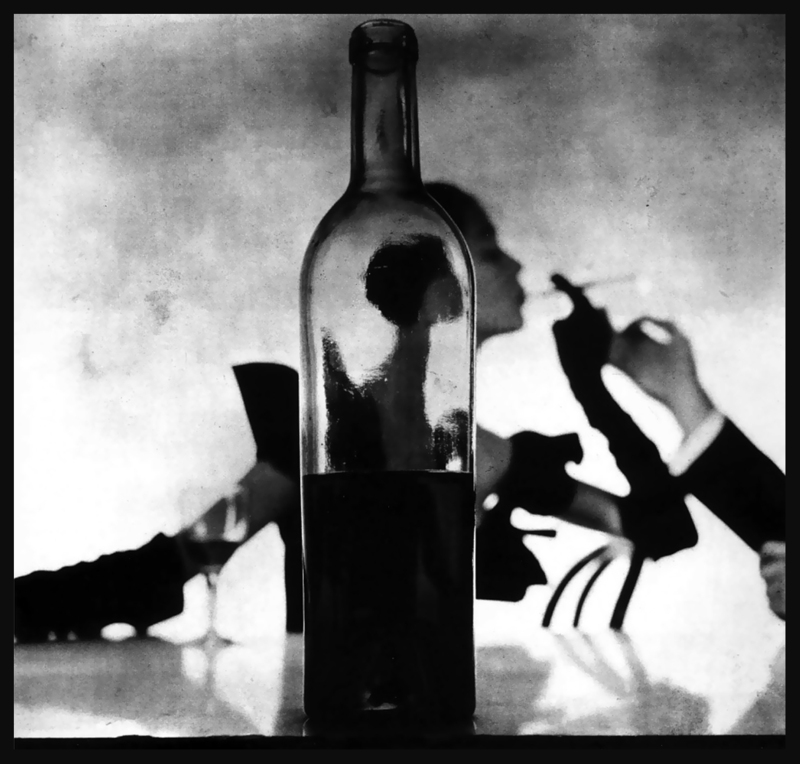 Titled "Girl Behind Wine Bottle", Irving Penn's photograph captured Jean Patchett in New York City doing her effortlessly elegant thing behind a bottle of unlabeled red wine. Her left hand holding out a classic 1950s cigarette holder. A gentleman strikes a match and offers her a light. This photograph was taken by Irving Penn in 1949 while on assignment for Vogue Magazine. This iconic Irving Penn photograph has become a documents of an era when style did matter.